United Methodist Committee on Relief (UMCOR) is assembling layettes for babies to be distributed to needy countries around the world. 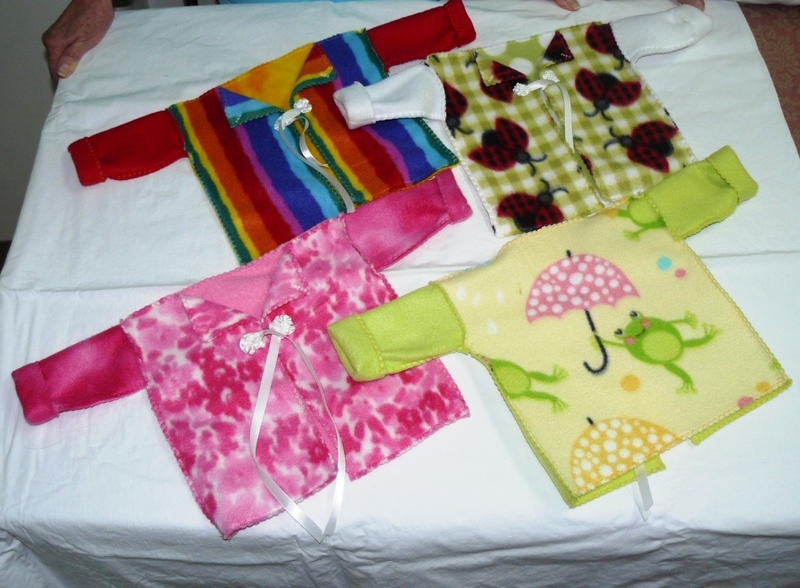 St. Andrew’s quilting/sewing group is making these baby jackets from scraps of the Prayer Pillow fleece. The baby jacket is just one of the many items needed to complete a layette. UMCOR receives these items and assembles the layette kits before shipping to other countries. When this project is completed we will have made 50 baby jackets with tiny flowers on the lapels and ribbon roses on each side to tie in front. We strive to give HOPE, in our small way, to some babies in our world.